The importance of the rule of law is universally recognised and of fundamental value for most societies. Establishing and promoting the rule of law in the Muslim world, particularly in the Middle East, North Africa, and Central Asia, has become a pressing but complicated issue. These states have Muslim majority populations, and the religion of Islam has an important role in the traditional structures of their societies. 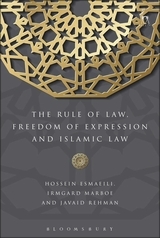 While the Muslim world is taking gradual steps towards the establishment of rule of law systems, most Muslim majority countries may not yet have effective legal systems with independent judiciaries, which would allow the state and institutions to be controlled by an effective rule of law system. One important aspect of the rule of law is freedom of expression. Given the sensitivity of Muslim societies in relation to their sacred beliefs, freedom of expression, as an international human rights issue, has raised some controversial cases. 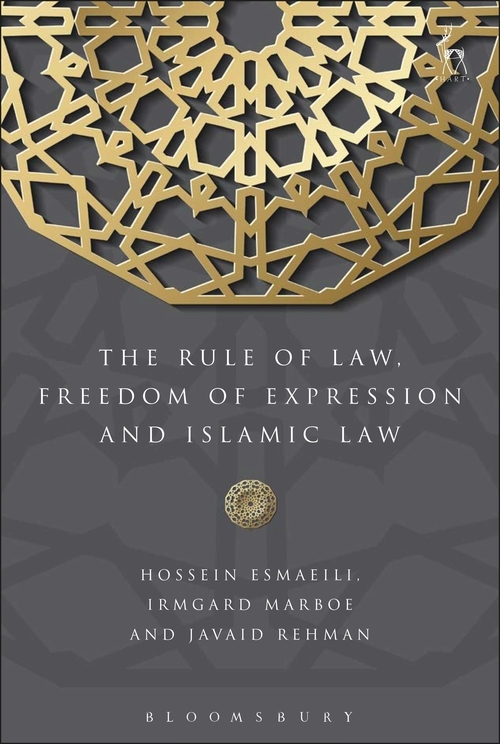 This book, drawing on both International and Islamic Law, explores the rule of law, and freedom of expression and its practical application in the Muslim world. 6. Freedom of Expression and Freedom of Religion: Conflict or Convergence? Hossein Esmaeili is Associate Professor of Law at Flinders University, Australia. Irmgard Marboe is Associate Professor of International Law at the University of Vienna, Austria. Javaid Rehman is Professor of Islamic Law, Muslim Constitutionalism and Human Rights Law at Brunel University, United Kingdom.